Support the North Atlantic Society. Your financial contribution to the North Atlantic Society ensures the continuation of the Public Sightings Network, support of important cetacean research in the North Atlantic, and will make future projects like the development of a live broadcast of a hydrophone network possible. There are a number of ways that you can support and be involved with the NAS. 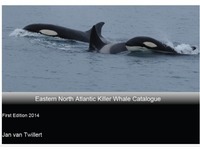 Access to the North Atlantic Society Whale Sighting Network on Facebook: In the NAS whale sighting network you are invited to take part of discussions about cetaceans, and meet other members of the NAS. Member discounts: As a NAS members, you get a discount on whale watching trips provided by our associated companies.